This is the third in my series of OnStage Atlanta swaps. 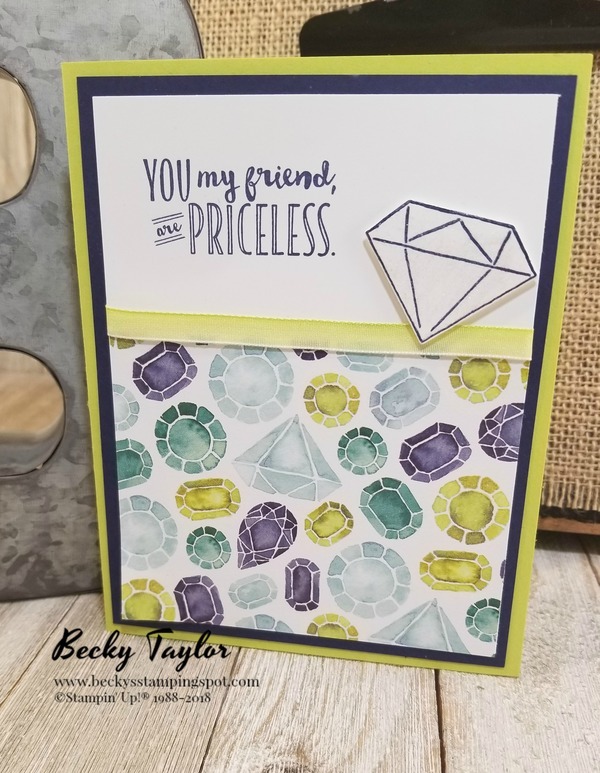 This card features the Eastern Palace Suite--stamps, dies, and designer paper. The Eastern Beauty bundle of the stamps and dies will be available only until the end of May. After that time, they will be available individually in the new catalog. I also created a couple of alternatives for my own stash--very similar but not quite the same. Just a reminder--Many of the items on the Retiring List and the Clearance Rack are either sold out or in very limited supply. If you are interested in any of these things, you need to place your order now. I don't want any of you to be disappointed if the items that you want are no longer available. If you place an order that is below $150, please use my April Host Code HY7EQVS3 and you will be entered into my monthly drawing for gifts from me. 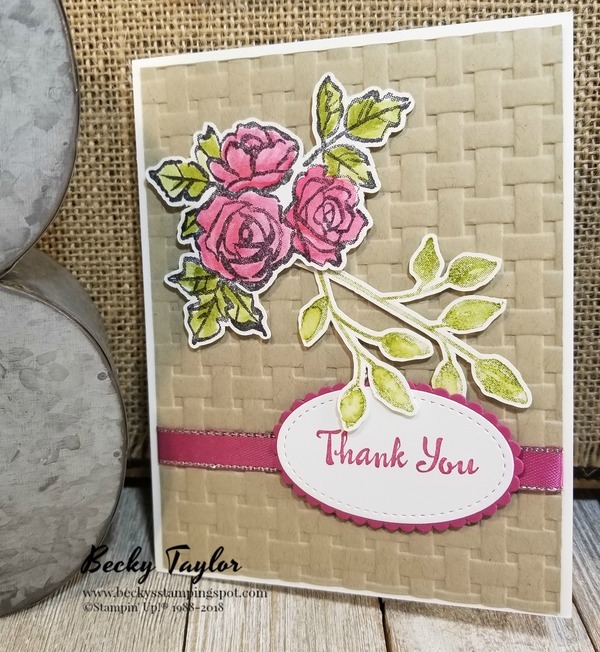 This month I am gifting a new ink pad, Grapefruit Grove, one of the new In Colors.